Long ago in a galaxy–or rather, civilization–far, far away . . .
. . . lived a man named Achilles. He could have been the ultimate trust-fund baby: not only was he a king, but he was also the son of a goddess. Not a bad setup. Even better, he easily could have lived said trust-fund-baby life quite comfortably, thank you, hidden away in the obscurity of the Grecian hills. But not Achilles. Never being one to lounge around and sip manhattans while there was a good time to be had in a battlefield somewhere, he responded to the call to arms made by Agamemnon in the name of his brother Menelaus of Sparta, because . . .well, let’s say it was complicated. But it did involve a woman. Now granted, Achilles had always been a bit on the prickly side, but could that boy fight or what, so all the Greeks were willing to put up with the occasional guff and bragging. One thing about Achilles, though: don’t dis him. Unfortunately, Agamemnon thought he’d give that a shot anyway. He decided to, let’s say, hit on Achilles’ girlfriend. Achilles did not take it well. Achilles picked up his toys and, while not going home, went off and sipped some manhattans. A lot of them. For a long time. This was not good for the Greeks. For you see the Trojans had this guy named Hektor, a decent sort, really, lovely wife, cute kid, crown prince, even a nice enough big brother who hadn’t beaten to a pulp his younger brother Paris for all the trouble Paris had caused Troy and their father, King Priam, by Paris’ dalliance with . . .well, that woman. The thousand ships one. But could that boy, Hektor, fight or what. This was not good for the Greeks. Then, however, the story takes a turn. You see, one of the Greeks was this guy named Patroklos. He and Achilles were tight–and I mean tight. Some think they were lovers; some are insulted at that very thought. No matter. Patroklos cared deeply about Achilles. Achilles cared deeply about Patroklos. Patroklos tried to get Achilles to reconsider his spat. Achilles refused. Patroklos cared deeply about Achilles, so he only pushed so far. But Patroklos was a good man. He could not tolerate witnessing the rampant destruction of his fellow Greeks. So he dressed up as Achilles and went into battle, to try to encourage his fellow warriors. Unfortunately, he tried a little too hard, for eventually Patroklos met Hektor. In a way that is so foreign to our modern Western sensibilities, Hektor actually considered Patroklos to be a good man. Hektor then killed him. News of Patroklos’ death reached Achilles. Achilles really, really did not take it well. Patroklos had had Achilles’ back. Patroklos had stood by him no matter what. In this band of brothers, there were only two, always two, what-should-have-been-forever two. No longer is there room for any humor in recounting this tale. The Scandinavians called it berserk, the frenzied rage of a warrior, no mercy, no stopping. Patroklos was dead. Achilles went berserk. With Trojans dying left and right, Achilles made his way toward his princely target. That target knew he was coming. For a brief time, Hektor panicked. But then he turned to face his fate. He only asked that Achilles allow his body to go back to Troy, to his father, his mother, his wife and son, to be buried, to be allowed the rites that would grant him access to Hades and to some form of rest. That was the last thing Achilles was planning to do. Kill Hektor, he did. But then he took Hektor’s body, tied it to the back of his chariot, and dragged it around the walls of Troy, in full view of Hektor’s father, his mother, his wife and son, in full view of the Trojans, in full view of the Greeks, in full view of the gods. Over and over he dragged it. Over and over. Hektor’s family wept. The Trojans went silent. The Greeks went silent. The gods went silent. This was not right. This was unjust. Achilles didn’t care. Patroklos was dead. Eventually, yes, Achilles acceded to justice, partially through the imploring of Patroklos’ ghost, partially through the intervention of the gods–but, finally, through the imploring of Hektor’s broken, defeated father. Achilles returned to the world of humanity. Hektor’s body was returned to a grieving man and a grieving city. The Iliad ended. Eventually, so the story goes, the Greeks had their horse and had their day. They sacked the city of Troy. Sacked–annihilated, decimated, obliterated. They threw Hektor’s infant son over the walls of the city. They ran his father through with a sword as he clung to an altar. They raped his sister in the temple of the virgin goddess. The gods noticed. This was not right. This was unjust. Agamemnon, Menelaus, Odysseus, yes, even Achilles–they and the Greeks with them all paid prices for their hubris, their savagery, their having gone berserk. The various sequels to the Iliad recount their tragedies. Simple, happy endings like those of the Star Wars series were not to be found. Finally their era came to an end. Unfortunately, the going of berserk in battle (or some derivative thereof), when one has reached one’s limit, when one cannot contain the rage any longer, when grief reaches the point of explosion–that has not yet come to an end. To some, urination is berserk; to others, not so much. To some, it is desecration, and to others, again, not so much. All will argue their case over and over, usually strongly, sometimes disdainfully, always knowingly. Every day I talk to young veterans who have committed acts of which they are ashamed. Sometimes I talk to older veterans who still experience shame after forty years away from the Mekong Delta. I cannot absolve any of them. But neither can I condemn any of them. Oh, I guess I could, i.e., take one side or the other, stand for justice. I am Mennonite, after all. My politics are progressive. There’s a script readily available for that combo, maybe in need of some tinkering here and there, of course, but essentially set for vociferous and self-assured performance. The fundamentalist-conservatives could read off the opposite script, and we could then have ourselves some good times in a Point-Counterpoint à la Chevy Chase-Jane Curtin (ah, what memories). Heck, we could probably even take the show on the road. Yet when I look into the eyes of these veterans, I see myself reflected back. I know the truth, my truth: in spite of my theology, in spite of my cable news preferences, had I been there instead of them, wherever they were, doing whatever they were doing? I would have done the same. I can’t even assure you that–certainly when I was nineteen, twenty-three–I wouldn’t have urinated. 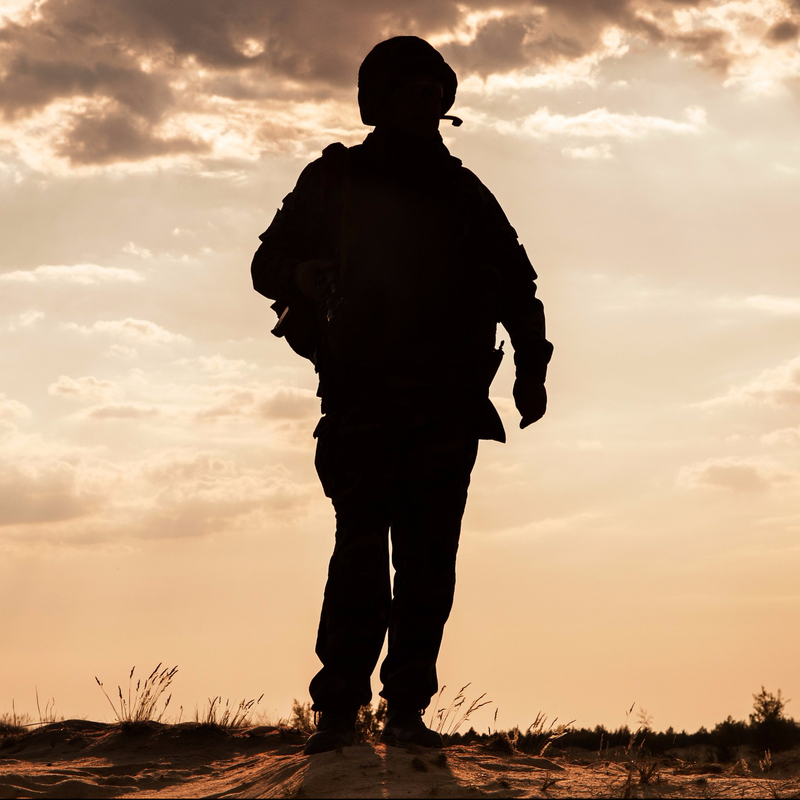 When it comes to facing the darkness within, combat veterans don’t get a pass. The Iliad was a song about the anger of Achilles. But then, what war isn’t the song of some soldier, Marine, sailor, airman whose anger, whose fear, whose fervor demands to be heard? I make no exonerations, no cheap claims of situational justice, no excuses. I just speak what I have come to know. When I look in the eyes of these veterans, what’s done is done. All I can offer them is my own humanity, my acceptance that both of us–all of us–are hanging onto civilization by a thread. I see no longer Achilles in those eyes. I see Patroklos, now having survived, but wondering–really wondering–whether inside him or her is any good. Others will judge. Others will praise. I merely sit, myself a son of mortals, with the children of mortals each day. If we wish to work with combat veterans, then we don’t get a pass either. If you feel you need one, if you feel you deserve one, if you feel you’re lucky enough already to have one–may I ask one request of you? When you hear that call to serve combat veterans? Just let it ring. I can’t help but suspect that Homer might have asked you to do the same.